Solidarity system is not enough for decent pensions. 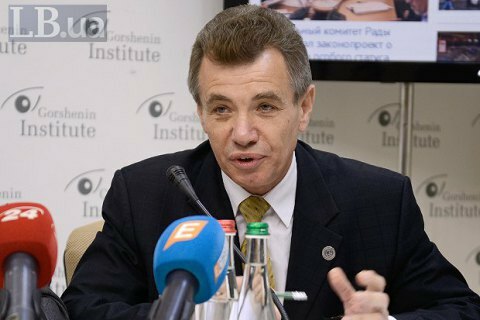 The government and legislators should stop delaying the introduction of a funded pension system, deputy director of the company Pension-Actuary Consultant, Oleksandr Tkach, warned during a round table conference in Gorshenin Institute on Thursday, 5 October. "In numerical terms, the objective [of the pension system] is the replacement of lost earnings at 40% after 35 years of payment of insurance premiums. This is a norm of the International Labor Organization. If we take the European Code of Social Security it is set at 50% or even 60 – 65%," he said. The adopted changes in the solidary system will not be enough even to reach the target of 40%, Tkach believes. "The reform of the pension system did not begin with the bill No 6614, but in 2003when the laws No 1057 and 1058 were adopted on compulsory pension insurance and private pension insurance, where the three levels were clearly defined. Unfortunately, we have not coped with the second level, which should have been launched in 2007. Unfortunately, we have also failed to launch professional pension systems after 2005," he said. Tkach acknowledged that it is impossible to fix the system after 10 years of procrastination, but one needs to start changes. "We seriously hope that a mandatory funded system in combination with a non-state pension system would catch up on these 20%, or even 25% [that solidarity system is unable to cover]," said the expert. He recalled that the funded pension system should be launched in January 1, 2019 but said he feared that it can be postponed again in the next year. "31 March, 2019 is the date presidential elections. 27 October, 2019 will see the parliamentary elections. Unless an effective three-tier pension system is built by that time, especially the second level, believe me, we will have nothing to say to the next generation, except 'Every man for himself'," Tlach concluded.